Yes, we do get a lot of inquiries from folks that invent. Some are ready, but many are not sure what’s next. This “Inventors Lab” feature includes several concerns that come up in a typical first conversation, so I thought I’d put it up to share. The motivation is 3 fold: 1) To give information that you can digest at your own speed. 2) We provide you the benefit of other peoples inquiries. 3) Selfishly, to let you learn and prepare by reading this information rather than repeating ourselves — and dumping more on you in one long conversation than you can absorb. This is not a solicitation for services or a sales pitch. Obviously, we want customers, but it’s best for everyone to be informed . . . and ready for the journey. One thing we hate is taking money from someone who is not prepared for the project ahead; or from someone who can’t really afford our services. Those who invent often fit in one of these categories — at first. The road to bringing a product from concept to customer is much longer with many more steps than most people think. It takes preparation, so congratulations for taking the time to read this set of articles. Some of the steps to your success are right at the beginning of the journey. Learning where to go is a big one. So, if you contact us and we send you out to do more homework, Smile 🙂 It’s because we want you to succeed. And, if you’re serious about success, you’ll do the homework. This trip takes emotional, educational and financial preparation, so take the time to get ready. Believe me, you’re not losing time preparing — you’re setting yourself up to avoid the hurdles as you move to launch your new product. Not all who invent push their products to market. Not all who have new products are inventors. 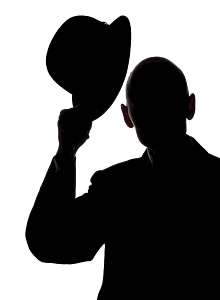 We have customers on both sides, and we tip our hats to you, as you make the journey. It does not matter where you come from — it matters where you’re going. We’ve been down this road a number of times — with customers we serve as well as with our own products. We’ve seen success and we’ve seen failure, but we haven’t seen it all. Yes, we provide Engineering Services like Product Development, and we’re willing to help, but remember, You are your own best advocate. You must guide the processes, and only you can make it happen. We are here to HELP you, and this free lab is just one way we do it. Have a wonderful day! From here, please return to the beginning: The Inventors Lab Start Page. Or, look around a little more by visiting the Synthesis Home Page, or view our Engineering Services – Maybe the Product Development services. Thank you for visiting.